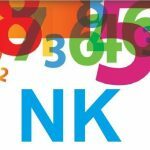 NumberKeepers, LLC is a team of accounting professionals catering to startups, small businesses, non-profits, and individuals. ​Their services include accounting, bookkeeping, payroll, tax solutions, IRS representation, and QuickBooks and Xero consulting. Work For NumberKeepers, LLC? Claim This Page.